Welcome to PassPorter! Before you can use our tools, you must first sign-up (register) for a free basic account. Enter a password for your account. Passwords are case-sensitive. Would you like to receive our free weekly e-mail newsletter filled with feature articles, news, updates, tips, contests, deals, and more? You can unsubscribe at any time if you decide you do not want it. Yes, please subscribe me. No, thank you. Please type your first and last name here. This information will NOT be made public -- it is used by the PassPorter Team when we need to help you with your account. Your date of birth and age are displayed in several places on our site. Only the PassPorter Team can view your date of birth if you choose to hide it via the privacy option below. 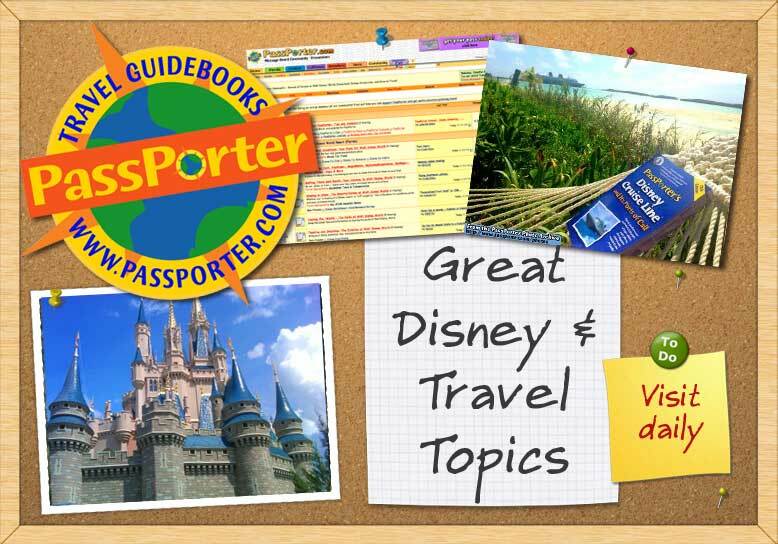 If you were referred to this site by an existing member of PassPorter - A Community of Walt Disney World, Disneyland, Disney Cruise Line, and General Travel Forums, enter their exact Member Name here. How do you learn about the PassPorter community?